I sometimes laugh when couples I coach think I am “hitting home” in a session as if I have some type of extrasensory perception or I have been a fly on the wall in their marriage secretly recording their conversations. The truth of the matter is that Corinthians tells us that “there hath no temptation taken you but such as is common to man”. 1. It’s short and sweet for a reason. 6-8:45 pm. Anyone can swing that! Plus, I loathe information overload. As of 4/23, 46 tickets remaining. It is more than vital for couples to realize that in order to obtain the right answers, they must ask the right questions. Instead of asking, how will we ever fix our marriage, maybe there is a better question. Could it be that your marriage is limping along because both participants have unhealthy hearts. It was over 20 years after their deception when the brothers of Joseph stood before him. They were in hot water, at least, it seemed to them. In Genesis, we have their almost out of place reaction as they were interrogated by Joseph, the one they had cast into a pit and sold as a slave years earlier. Unfortunately, it is a desperate day in which we live. Our society is akin to Isaiah’s audience in the Old Testament. The reason why some are unable to love, forgive, and take risk in a relationship is simple: they have too much at stake. Love takes risk, but without the safety net and sense that God has our back and holds our future, many will be unable to sacrifice what they want for the needs of others. 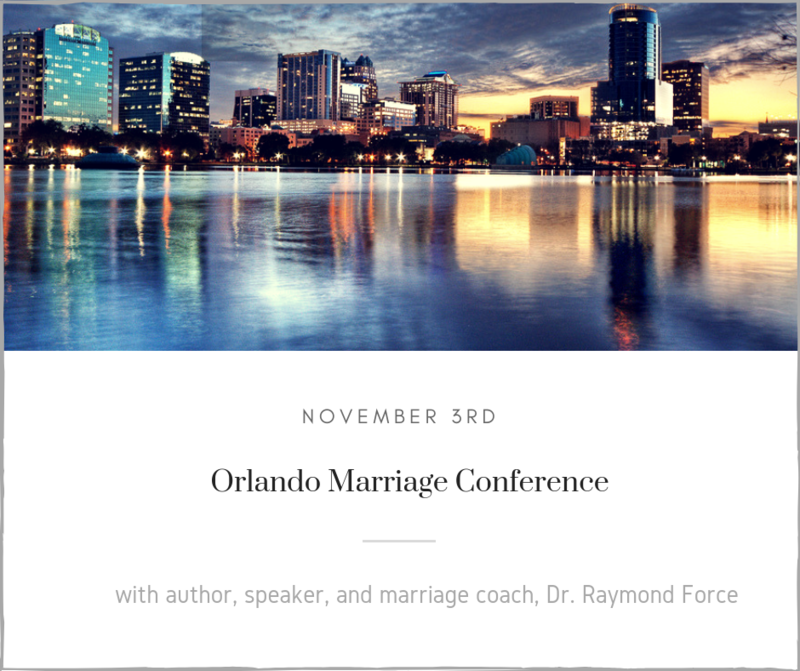 It’s hard to believe we are just 10 days from our Orlando How to Fight for Your Marriage – Marriage Conference on Saturday, November 3rd, in Orlando, FL. We are so excited, and there are only about 33 tickets remaining. Preregistration is required. Many of you are very aware of our story. A few years ago, we lost our sweet Grace Evangeline in a very difficult car accident. Since then, the tears shed and the lessons learned have been innumerable. However, as a husband and wife, we are doing our best to take the chunks of coal life throws our way and make diamonds of them. Wow! 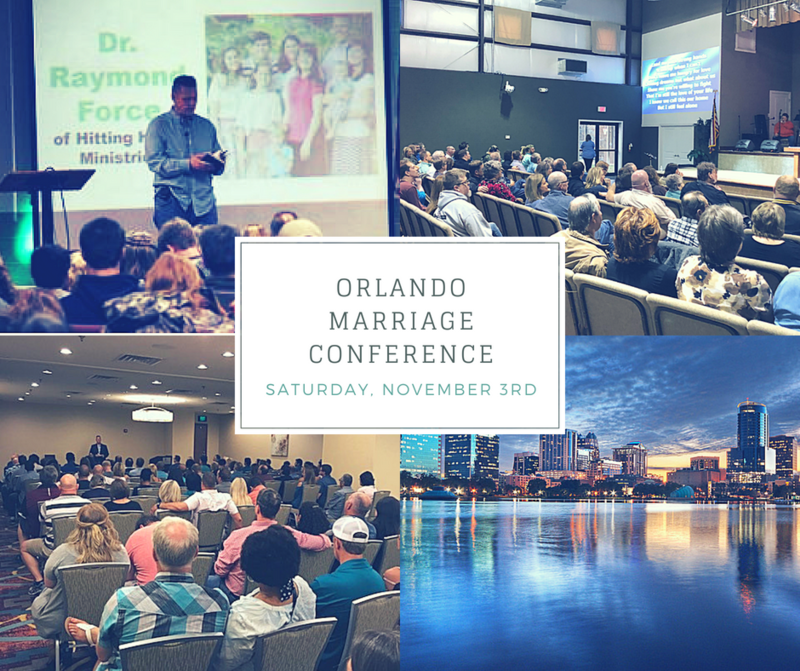 Less than 40 days until our Orlando How to Fight for Your Marriage – Marriage Conference on Saturday, November 3rd, in sunny Orlando, FL. Our conferences last 4 hours max. 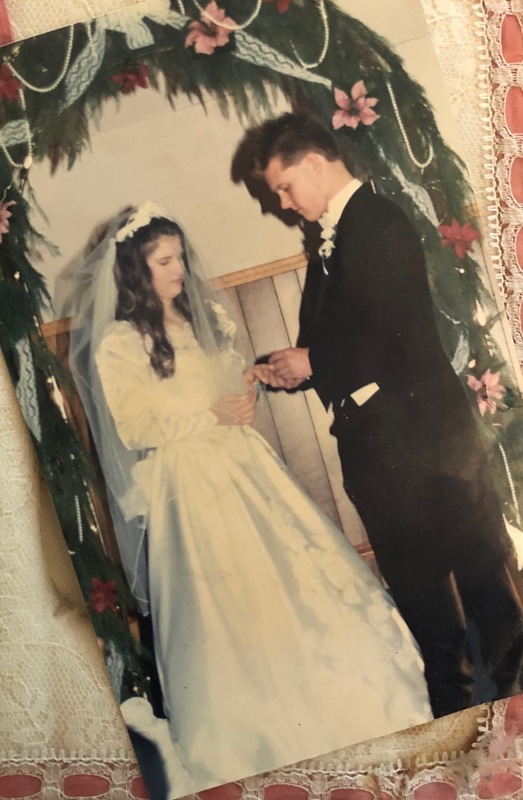 I look at teaching on marriage as war. I keep hearing this phrase that feminism killed masculinity. That’s a bunch of crock. Feminism did not kill masculinity. It merely replaced it. Sold Out – A Waiting List is Available at the Registration Page. 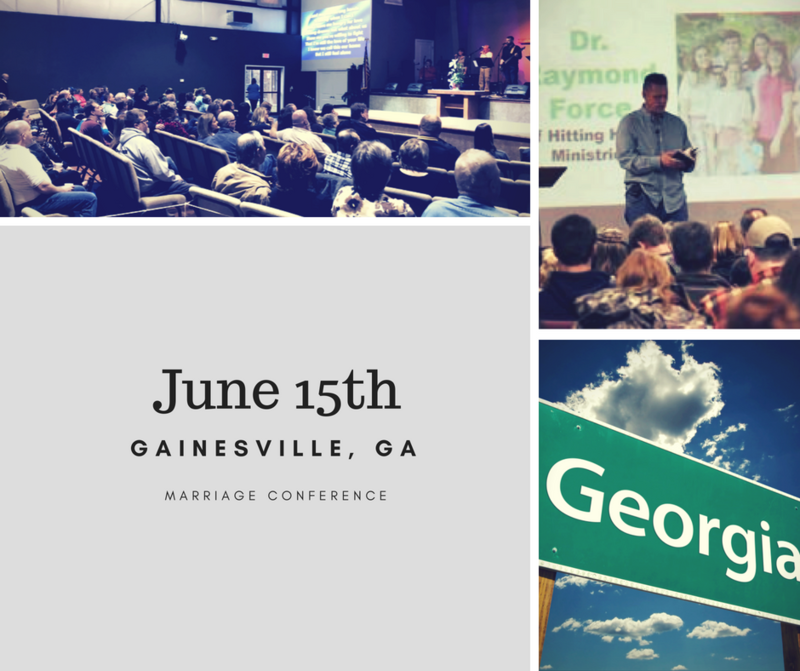 A few years back, I literally thought that I may be forsaking my call as a preacher of the gospel to give so much time toward the subject of marriage. 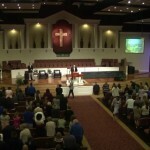 However, as the years have unfolded, I have found that our team is on the front-line of evangelism. If you are not content before you wake up in the morning, you will not be content in your marriage. Let’s face it. Many marriages get bad advertisement. The problem is not so much with compatibility as much as the health of the individuals involved. Happy wife, happy life. You may be surprised at the number of men that loathe this little statement. However, I would like to pull a little rank on some and speak from my experience as to why this statement is so vital. Hitting Home has been helping couples since 2002. Two years ago today, everything changed. We were riding down the road, minding our own business, and playing by the rules. Two days before that, I spoke on marriage in Williamston, NC, and my little Grace sang He Looked Beyond My Faults And Saw My Need. Generally speaking, when it comes to physical intimacy, women seem to have this on and off switch that can be in the on position one day, but in the off position on another. For men, it seems to be a little different as their switch tends to be stuck in the on position. This Event is Sold Out. A Waiting List is Available on the Registration Page. 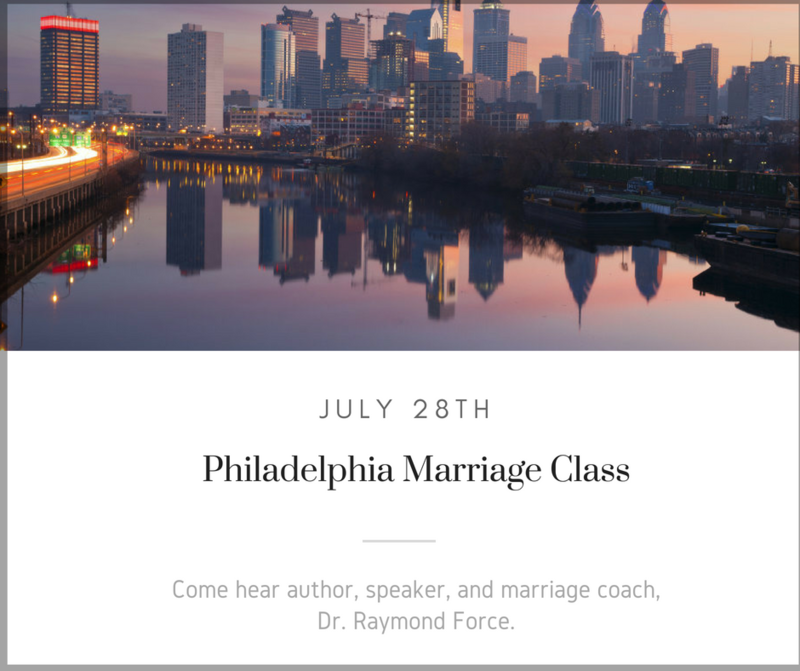 On July 28th, 2018, we are hosting a How to Fight for Your Marriage – Marriage Class in Philadelphia, PA. This particular class will be a smaller interactive class for couples in need. 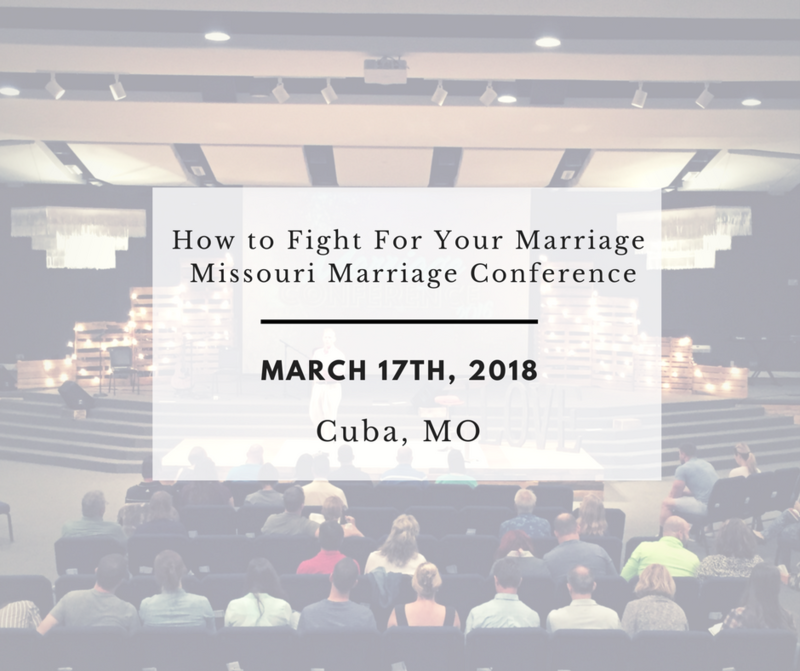 At our last marriage conference in Missouri, I spent a good amount of time talking about the rage that is in the average person’s heart in our day. The reason for this is simple: the further away a society runs from the reality of the cross, the more rage they carry in their souls. This December, my wife and I will have been married for 25 years. I am more than thankful for the lessons we have learned along the way. It is one thing to have a bad problem. It is another to come up with a bad solution to that problem. Unfortunately, this is what is occurring as singles see marrieds struggle. Many singles are developing a disdain for the institution of marriage while others are vowing to stay away from marriage altogether. Have You Been There And Done That With God? 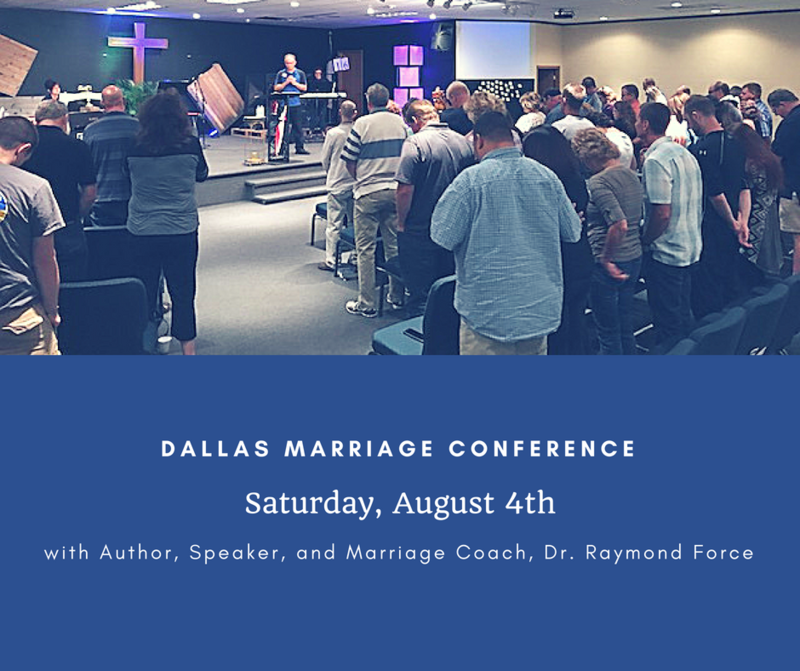 During the first session of our marriage conferences, we take the time to discuss the importance of the Father’s presence in each of our lives. In fact, I often say that without an eternal view of our lives and marriages, our advice simply serves as five smooth stones placed in the wrong sling of selfishness and humanism. Does Your Marriage Suffer From Emotional Amnesia? Does your marriage suffer from what I call emotional amnesia? That is, when a problem arises, do you or your spouse act as if you have never learned good conflict resolution skills? Do you forget about the emotional heart strings that have been tied throughout the years and give place to your raw emotions? 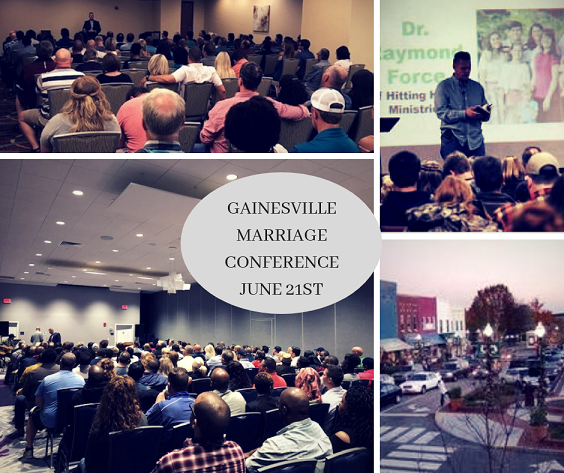 It seems that there is a thread that runs through much of my coaching, teaching, and writing as I teach individuals and couples about the ways of God in relation to marriage and relationships. This thread can be summed up in this little phrase: this is what it looks like. The Way We Treat Our Wives Says A Lot About . . . The way I treat my wife says a lot about my relationship with God. Far fetched? Let me use a little of the King James vernacular here in response: I trow not. What Is Your Relationship IQ? Do problems in a marriage change the marriage or accentuate the Relationship IQ of the spouses involved? In many instances, I choose the latter. Wisdom is the DNA of success. It is the canvas upon which the portrait of success is painted, and, to be very frank, this is why far too many marriages present such a bleak picture of marriage. Many couples call me because they are on a conversational merry-go-round and they do not know how to jump off. 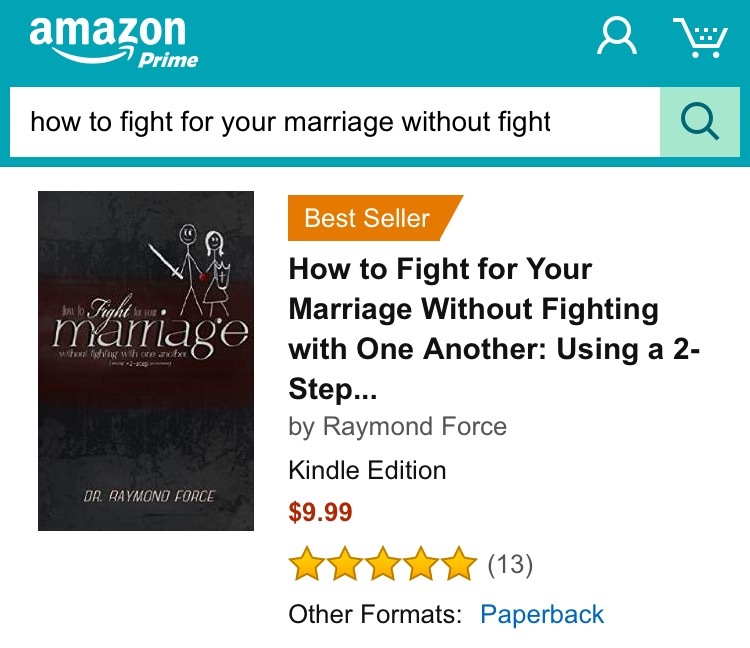 Frankly, we have found in many cases there is one primary way to exit these tiresome discussions that seem to go no where, and it almost always involves the following: stop arguing with your spouse’s perception. I did some math the other day, and I realized that in 25 years I will be 70 years of age. That said, I guess it’s time to just go all out and attack the radical problems of our day with radical solutions. Marriage is the axle to which every spoke in our society is connected. I find that the problem with many is not so much that they fail to give the right answers as much as they tend to ask the wrong questions. 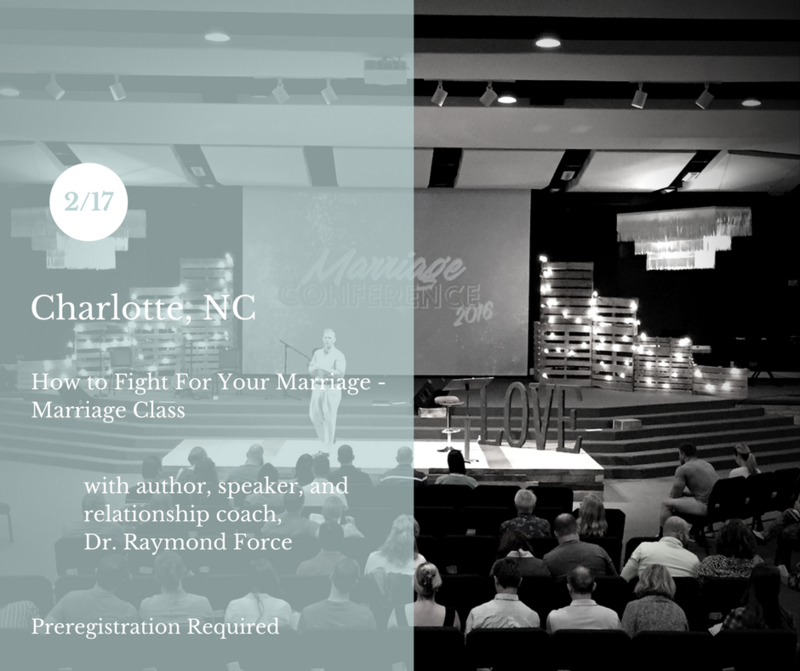 On February 17th, 2018, we are hosting a How to Fight for Your Marriage – Marriage Class in Charlotte, North Carolina. This particular class will be a smaller interactive class for couples in need. 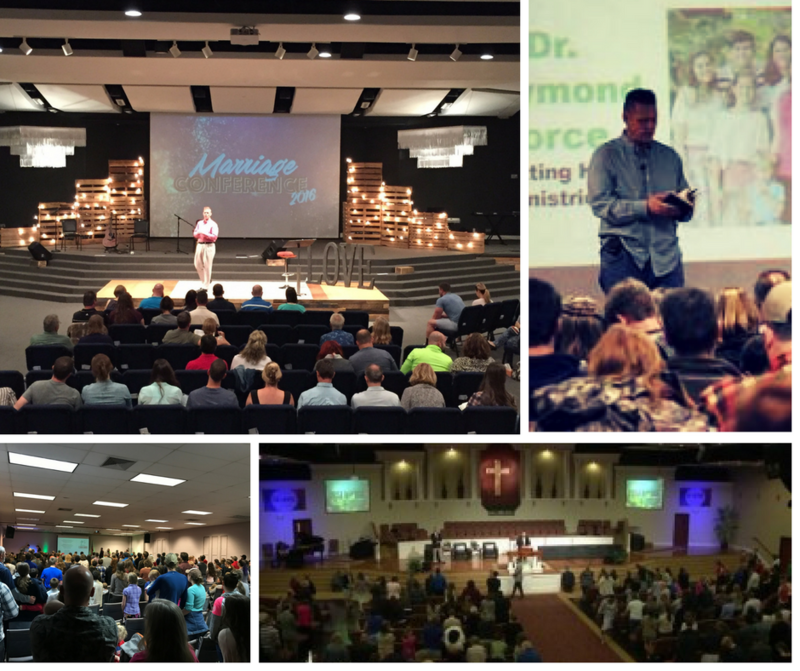 What a great time we had in Le Mars, Iowa at our How to Fight for Your Family – Marriage & Parenting Conference in September. 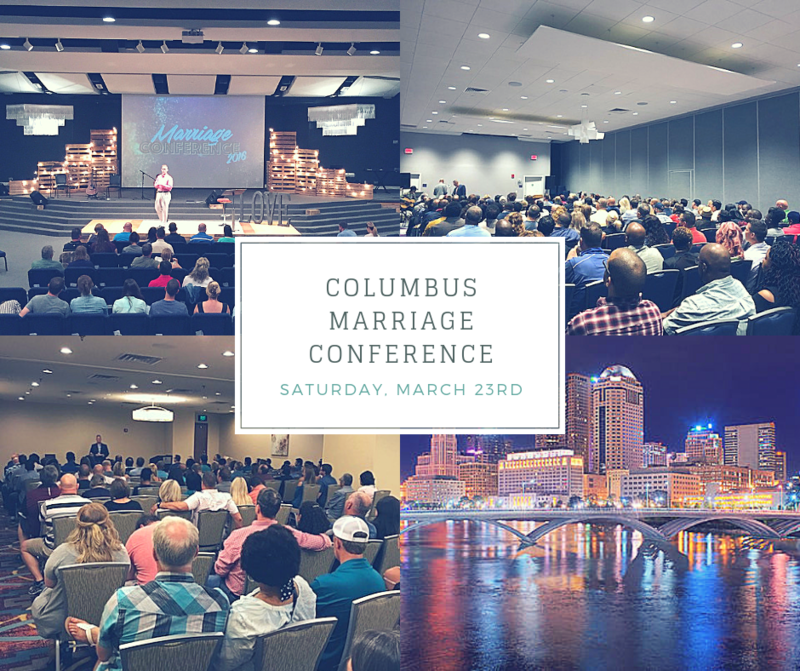 It was definitely an adventurous weekend that involved flight cancellations and a massive hurricane called Irma as well as a great marriage conference. I am finding more and more men that are just plain frustrated, and their frustration appears to have some semblance of validity. Quite simply, many men seem to be lining up in protest against what they feel is an uneven patch on the battle ground of relationships. This event is Sold Out. A Waiting List is available on our registration page. On February 10th, 2018, we are hosting a How to Fight for Your Marriage – Marriage Class in Ocala, Florida. This particular class will be a smaller interactive class for couples in need. A man may act defensive, inconsiderate, or non-nonchalant when his wife is upset, but I am not so convinced this is his initial reaction deep down inside. Many seem to be willing to watch a movie, but few seem to know what it takes to live out a good movie script in their lives. We have all seen the movies portraying that valiant rescue of the woman by the man. Every marriage is like a well. Without a source outside of itself, it will fall short in producing that which it was designed to supply. 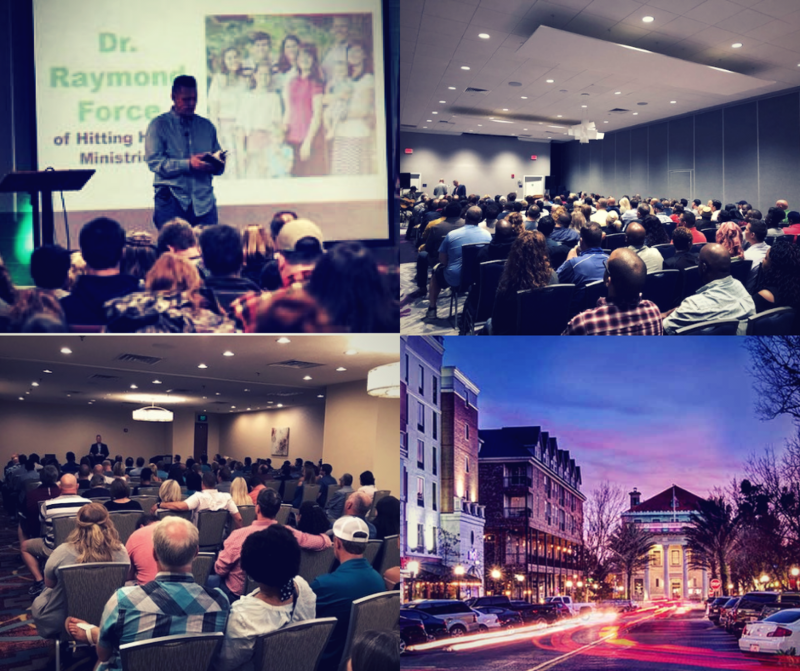 I am a pastor, director of Hitting Home, father of eight, boys varsity basketball coach, and an owner of another family business we started about seven years ago. I always backed down in a discipleship or counseling session when someone said they were in pain. Mostly because I did not want to overstep my bounds as a person that was a fare stranger to this foe. Most of you know our story by now. You are aware that pain entered our lives as a family about a year ago upon the passing of our sweet Grace. Manhood does not come by accident. In fact, I often say that the journey to manhood is not a pretty process. That is, it is a downright ugly path at times that requires almost more than our soft society is able to stomach.